Integrated Evaporative is a recent development in the science of evaporative air conditioning – a science that is over five thousand years old. The history of air conditioning begins five thousand years ago when ancient Egyptians cooled living spaces by hanging wet drapery inside their homes. 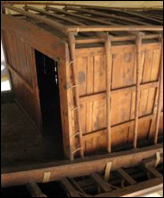 Four thousand years ago the cabin of Cheops I royal ship was covered with fabric and splashed with water - creating a simple evaporative air conditioner. Two thousand years ago, early Romans cooled and heated their villas and bath houses. 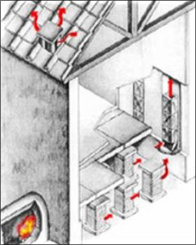 In winter, a central furnace called a hypocaust provided heat via the floor and walls. 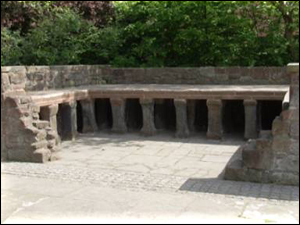 In summer, water supplied by aqueducts sprayed from indoor fountains, cooling by evaporation.